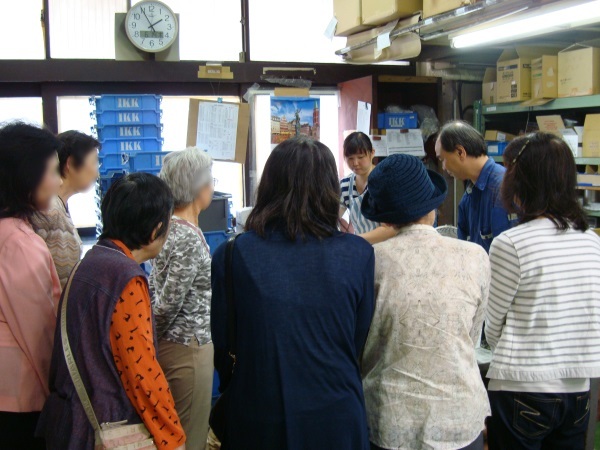 "Friends of Takashimaya" visited ISHIKAWA WIRE NETTING Co.,Ltd's headquarters through the event「Tokyo Handicraft Masterpiece Tour」which kicked off on June 14th 2018 (Thursday). 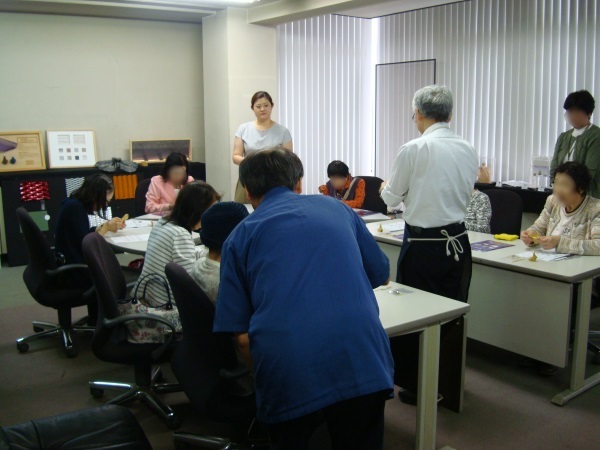 「Tokyo Handicraft Masterpiece Tour」was an event held for the members of "Friends of Takashimaya", and included various activities such as lunch, factory tours, and hands-on "ORIAMI" experiences! To start it all off, lunch was held at Cafe Yuki in the vicinity of ISHIKAWA WIRE NETTING Co.,Ltd's headquarters. It was an enjoyable experience as we chatted with everyone while having lunch surrounded by an antique ambience, so much so that we almost exceeded our allotted time. After that, we moved to the ISHIKAWA WIRE NETTING Co.,Ltd factory. We held a guided tour on the manufacturing process of our wire nettings. As not many have had the chance to tour a factory before, we were glad to see everyone asking us loads of questions and being genuinely interested during the tour. Finally, we had everyone challenge making "ORIAMI" pieces! The challenge for this time was ISHIKAWA WIRE NETTING Co.,Ltd's original rose (Ishikawa Rose). It was a difficult piece with an elaborate structure, but everyone was able to complete it without a glitch! It was a great pleasure for us to have met everyone and spent such an enjoyable time together.